Those words changed Bill Dieterle’s life forever. Dieterle became Santa. And Santa became Dieterle. Dieterle entered into the profession unwillingly. His wife’s father was retiring as a garden center’s Santa and someone needed to fill the void. After three nights on the couch, Dieterle decided to give it a chance. And, he says, he was horrible. Then the next day, a little boy busted in, jumped on his lap and grabbed his beard. He started crying, so Dieterle asked him what he wanted for Christmas. The young boy just wanted his mom to be happy. Dieterle removed the child’s stocking cap and saw a scar trailing down the side of his bald head. That’s when Dieterle realized there was a great need among critically ill children to connect with Santa for Christmas hope. That was 35 years ago. And that’s when Dieterle became Santa. Today, Santa lives and delights children at his Hideaway Hollow on 93 acres in Middlefield, Ohio. 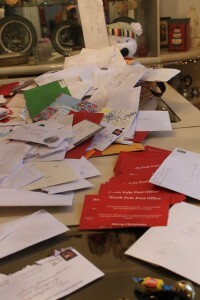 For Santa and Mrs. Claus (Jan Dieterle), it’s a passion. They live to make sure a sick child gets perhaps one last chance at happiness. He dedicates his time to ensuring seriously ill and dying children have one last memory with their families, and more than 107,000 children have sat on his lap. The Hideaway Hollow is dedicated to working with seriously and terminally ill children and their families to provide comfort and support throughout the final stages of the child’s illness. Many children ask to see Santa for a last Christmas as they near the end of their struggle, and Santa’s Hideaway is committed to meeting that need any time of the year. Dieterle knows how important happy memories are to families after they lose their child, so when he gets the call, he checks in with Santa at the North Pole and together they make sure the child gets to see Santa one more time. Although Santa lives in northeast Ohio, he travels everywhere between Cincinnati and Pittsburgh to visit children who are battling serious illness. When children can’t visit him at the North Pole or at the Hideaway Hollow, he travels with his elves and toy soldiers using the North Pole SWAT Team (Special Wishes and Toys) and the North Pole Secret Service. He now has six fire engines and even uses the ladders, putting them up to the windows when he visits the hospitals. No matter what time of year, when Santa visits a hospital, he doesn’t just visit the child who requested his presence — he visits every child hospitalized. At his Hideaway Hollow, he keeps his seven reindeer, “Rudolph’s offspring” that have names like Cinnamon, Nut Meg, Sugar and Spice. In addition, a beauty parlor is also on the property. Children can get a haircut, nails painted or even a ‘spit and shine’ if they are bald. 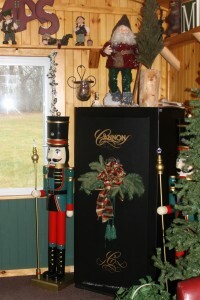 only at the Hideaway’s North Pole. Their names are Ho!, Ho! and Ho! When children visit, they can call them by yelling out, “Hi Ho! Hi Ho! Hi HO! “It’s all about the kids,” said Santa. Santa is now working on building a chapel on the property and is expected to break ground this spring to create a place where families can pray and hold services. But one of the most prominent displays on the property is the 643 Christmas trees planted by families whose children have died. The families are welcome to come back year after year and decorate the trees as they wish. 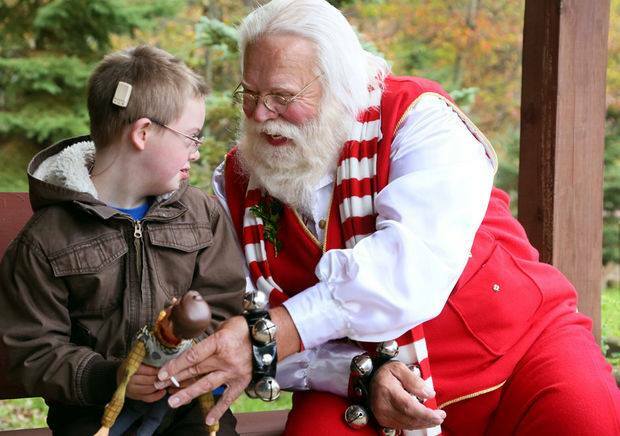 Santa sets time each summer for ill children to visit throughout the warmer months, and also has special days set aside for different segments of the population, including children diagnosed with Down syndrome or children with military parents. Between 300-500 families visit the North Pole a year. The entire day is free when children visit. Since Santa began working with critically ill children, he has learned to anticipate their needs. Cleveland area hospitals and Akron Children’s hospital provide a medical helicopter to sit on a helipad during certain days. Santa had the helipad constructed so if a visiting child suddenly needed to be transported, the child can get back to the hospital quickly. He has even built a nurse’s station at the North Pole. Children who need care, like their morphine adjusted, or even those who just need a break, can take some time and rest in the nurse’s station. Although Santa works hard to make sure children leave with memories, he said the doctors and nurses are the real heroes when it comes to treating children and helping them. “I’m just the guy in the red suit that makes them smile,” said Dieterle. Santa’s Hideaway Hollow is a non-profit 501(c)3 corporation, and everything at the North Pole was built by volunteers and with donations. Many ‘elves’ have donate time and supplies to help construct buildings, bridges or even the train and tracks for children who may not see another Christmas. It’s not about building the North Pole for Santa, he adds, it’s about making a difficult time a little better. “We try to do what we can to bring peace to families at their worst times,” said Santa. Santa said there are times when he even breaks down and feels sadness for a child who is suffering. However, he remembers that his life is about creating memories for those who need them most. The Dieterles say they have been lucky and have been blessed with a prosperous life with an adult daughter, Jordan — but they recognize how life can change in a moment. “Hug your child. You don’t know what tomorrow will bring,” said Santa. MIDDLEFIELD, Ohio — Santa doesn’t ask for much. 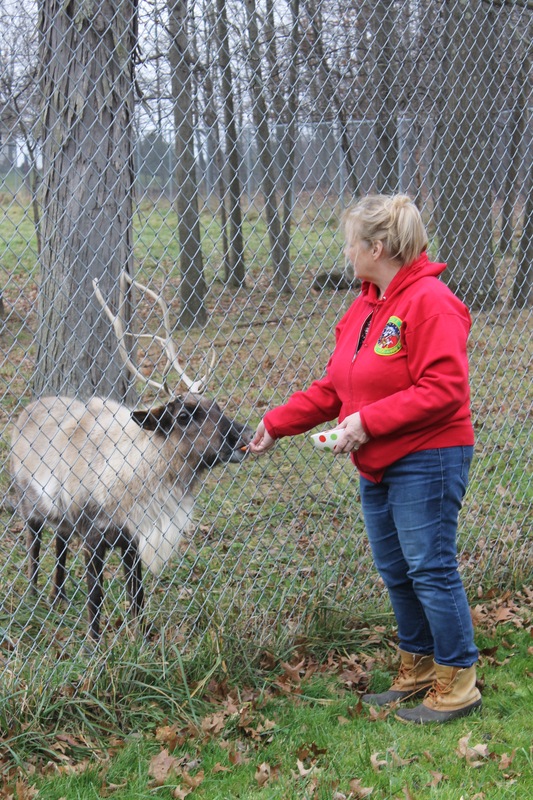 Bill Dieterle is overjoyed when organizations and donors give of their time and help build Santa’s Hideaway Hollow in Geauga County. However, during our visit, he mentioned something that we thought our readers might be able to do. A couple of years ago, a freak lightning storm killed his five Belgian draft horses. The horses were used to pull sleighs or wagons of the children after buses unloaded them. Now, Santa uses golf carts to shuttle children around when they visit, but he would love to be able to have horses for the children again. However, just like Santa, his reindeer and his elf-pacas, the horses have to be special. Dieterle is looking for horses that can handle children safely, meaning, they have to exhibit special behavior and skills and be extremely gentle. For example, they have to remain calm if a child would bump them with a wheelchair. If you can help Santa or wish to donate in some way to Santa’s Hideaway Hollow, contact Bill Dieterle, executive director/founder, Santa’s Hideaway Hollow, 15400 Bundysburg Road, Middlefield, OH, 44062; 440-632-5000.